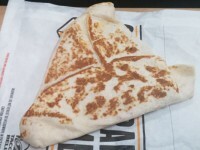 The Taco Bell XXL Nachos are one of those menu items that seems to be on a revolving door for Taco Bell, where it comes back for about 6 weeks every 8 or 9 months when they need a larger menu item. 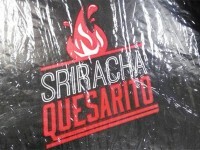 I’ve been ordering it for several years now when it is available, and always really enjoy it. At first glance, it is huge. A whole pound of food. 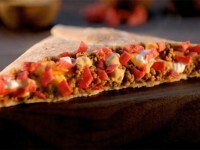 It consists of a ton of chips, Beef, Pico De Gallo, guacamole, sour cream, nacho cheese sauce, refried beans, and shredded cheese. 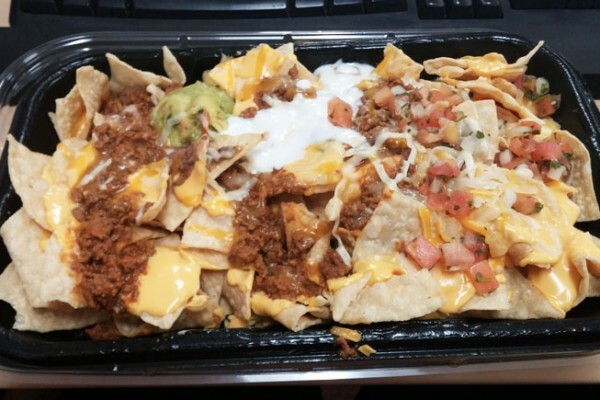 One thing I don’t like is the uneven distribution of the nacho toppings. The guacamole, sour cream, and pico de gallo is scooped on, and I need to smear it around with a fork to get it more evenly distributed on the top layer. Unfortunately, once you get to the bottom, very few chips have cheese or other ingredients on them. I will sometimes have to “stir” my nachos to make sure everything is more evenly coated. In terms of size, it is very hard to eat unless it is shared. 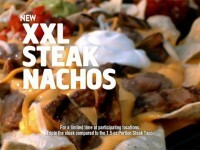 This is the best and biggest nachos that Taco Bell has. It is twice the size of the Nachos Bell Grande, and instead of regular tomatos, this has the pico de gallo. In terms of flavor, there aren’t a ton of strong flavors that come through. 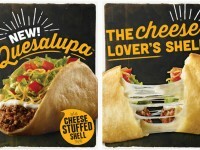 Taco Bell really isn’t known for their nachos, so this is more supplimental to their main offerings. 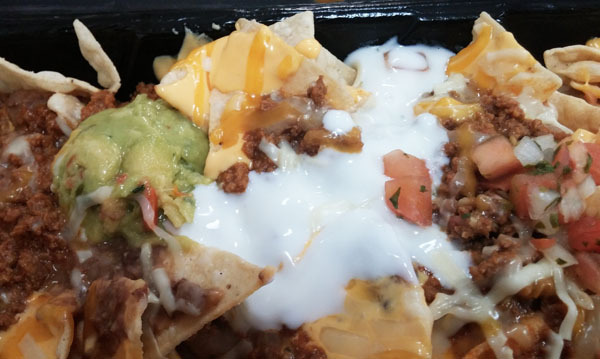 I felt the nacho cheese was great, the beef was nothing special, and I couldn’t really taste the shredded cheese. 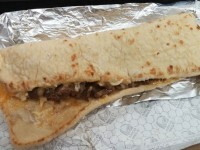 It is pretty generic in terms of flavor, however it’s huge and the most filling item Taco Bell has on their menu. 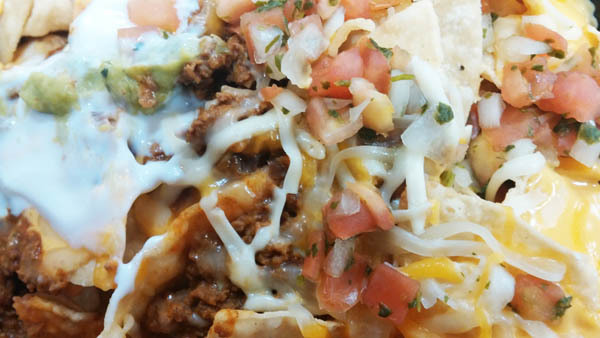 Come hungry, or bring a friend to finish off the XXL Nachos.